Maybe it should stand for F EAR A LL T HINGS that refer to the word FAT. Because FAT makes you FAT right? FAT FAT FAT FAT FAT. This word doesn’t really roll off the tongue for most people. Now what if I throw in the word HEALTHY. Fat + Healthy? Most people wouldn’t associate those words together. Most usually combine FAT with UNHEALTHY. Well guess what – I’m here to tell you that FAT doesn’t make you FAT. The right kind of HEALTHY FAT that is. 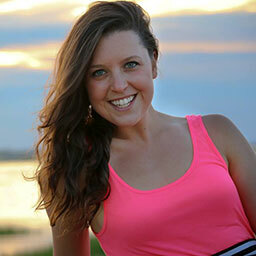 I want to help you stop FEARING THE FAT – for good! Okay, so I like my capital letters to prove a point. I did a video once to talk about how I challenged myself to up my FAT intake. Because I used to FEAR THE FAT. I always assumed that FAT would make me OVER WEIGHT. & found that my body was loving that I was nourishing it, finally! You can also find my pros & cons of competing here. One of the PROS was I learned to NOT FEAR THE FAT. too much of anything is not really a good thing. For example, I try really hard to now sit down and eat a whole jar of nut butter. Although, it is super duper tempting. to rebuild & repair my muscles quicker since they are quicker to digest than fats. 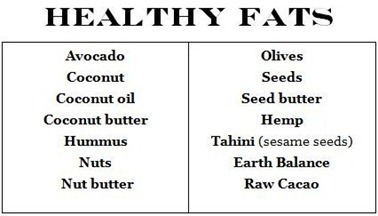 My point here is to tell you that healthy Fats are ESSENTIAL to our bodies! But everything in moderation as well! “In our culture, we are taught to fear fat. Plain and simple. We are taught the following: eat fat –> get fat –> be miserable. This is a LIE! The way we get “fat” (i.e. unhealthy) is from eating too much of the wrong kinds of foods. 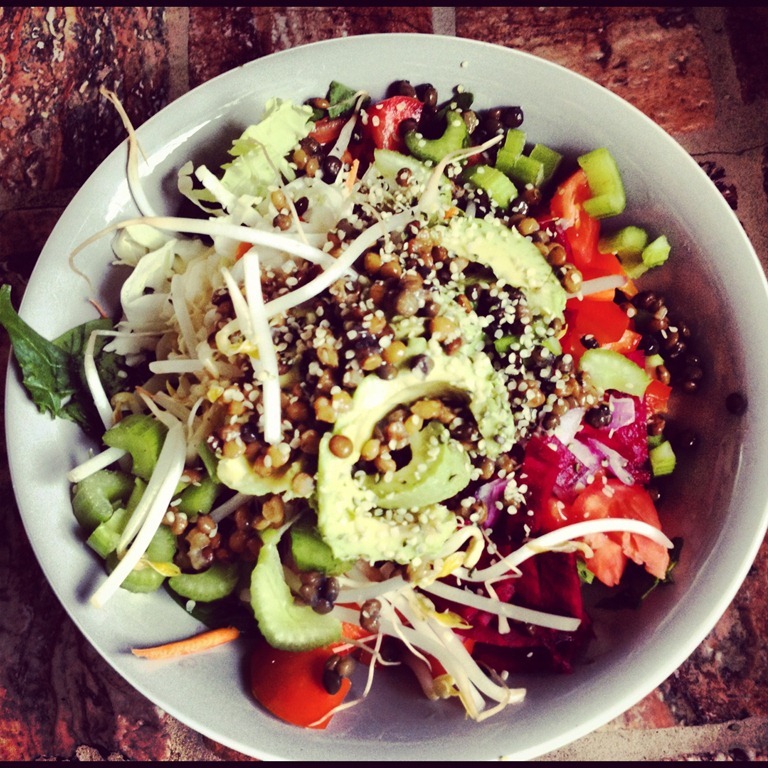 Plant-based fats are an essential macronutrient for our bodies. It cushions (protects) our cells and is essential for us to absorb fat-soluble vitamins A, D, E, and K.
Heather & I are super passionate about this topic. I teach this to my students when I teach. & have no idea why they are bad OR good for them. They just all associate Fat with Fat. And we all know that as women & men, we fear the word fat. Especially when I was in high school, when appearance was one of the only things I cared about. that’s a whole other vlog/topic. 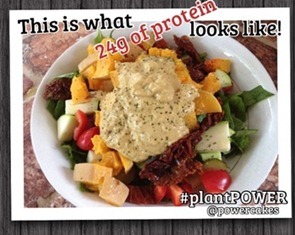 in our examples of Plant Based Foods! Or my Creamy Tahini & Nooch Sauce! that has 19 g of PROTEIN!! 24 was the total of the whole SALAD. 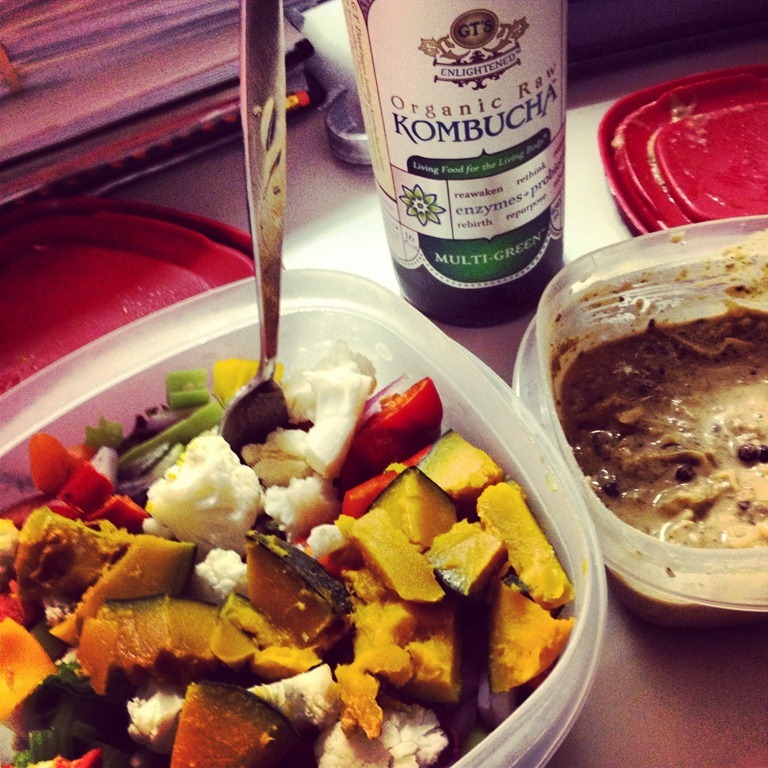 of clean carbs (kabocha squash) & veggies! Or cooking with coconut oil! feel free to use my coupon code XUG228 for a discount on first orders! THREE of you with two coupons for free almond milk! & can be totally used in many of our recipes! and favorite way to use Almond Breeze! Yay! 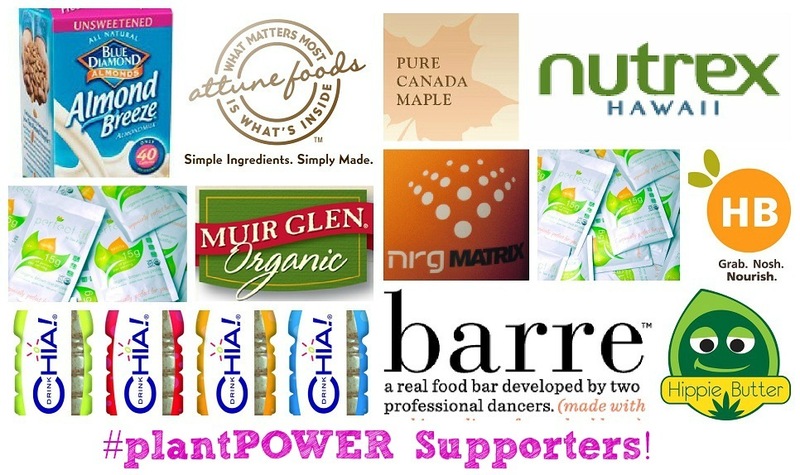 Thank you PLANT POWER SUPPORTERS! [Day 11 of The 14 Days of Giveaways!] WIN SPORTS DETERGENT & BROOKS WOMEN SPORTS BRA! No cheesy rhymes here, sorry. But I love almond milk. I can bake with it. My favorite is to make an almond protein bread. And I use it every morning in my overnight oats. And if I drink too much it makes me have to P! I honestly use Almond Milk in EVERYTHING. I completely substituted regular milk for almond milk. So it would be impossible to say where exactly I favor it. I bake all my protein breads,muffins,cakes etc with almond milk. I use it in my shakes , When I make my breakfast . EVERYTHING ! Where ever milk is required I use Almond milk ! I just bought coconut oil for the first time, I can’t wait to make vegan brownies with it! Other than that, my absolutely favorite way to incorporate fats are via peanut butter and chia seeds! This time of year I love heating up a mug full of Almond Breeze unsweetened chocolate milk!! It’s the perfect healthy hot chocolate!! My favorite is 40 cal. vanilla. Use it in coffee and cereal ,Hope I win! I always stick to the unsweetened vanilla flavor but I really want to try the coconut almond milk! My favorite way to use it is as a base for my protein smoothies! My current favorite has banana, spinach, pumpkin, almond milk, vega vanilla protein, cinnamon, and pumpkin spice! I LOVE MY FATS!!! Especially Almond butter and Avocados my fav’s! My favorite Almond Breeze flavor is Vanilla Unsweetened. I make a Casin pudding at night. I use Peanut Butter Casin, 1/2 TBSP of peanut butter, 1/2 cup Almond Breeze Unsweetened Vanilla and mix until a get a creamy pudding texture ( needs additional water too). SO YUMMY!! Oh and if I want a FRO YO type dessert I stick it in the freezer for about 1/2 hour and OH YEAH chocolate peanut butter frozen yogurt! SO GOOD !!!!!!!!!!!!!! I usually use the unsweetened vanilla flavor ..in my protein shake, in my oatmeal, in my coffee.. well anywhere I would use milk.. I use almond milk.. no more cow milk for me.. 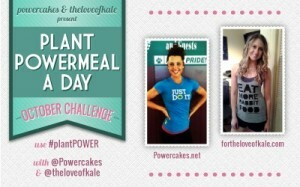 I love almond breeze for a chia pb2 chocolate pudding or any smoothie! Yummy! I have recently gotten into adding more healthy fats to my diet. I am obsessed with avocados (of course) but I found a new love in Coconut Oil. I love to sautee kale with it and roast all my veggies with it too (eggplant, squash, brussel sprouts). I may (or may not) have even had a small spoonful of it..its just THAT good (okay I’m weird) haha And do I really need to talk about almond milk? I love the unsweetened vanilla and chocolate varieties! I just used some unsweetened chocolate in a healthy mocha latte! Yummy!! I use it every day… from coffee to protein shakes and in my baking and cooking. I love almond milk, it’s a staple at my house! I just bought almond milk for the first time a few days ago. I have been using coconut milk in my smoothies, now almond milk. Yummy! My favorite is unsweetened vanilla almond milk! I go through like 2 a week, I swear 😉 I love to use them it in place of regular milk in baked goods or in a yummy protein smoothie. my fav way is to put it in my protein shakes! I love the original unsweetened almond milk! I love to put it EVERTHING! Smoothies, protein shakes, oatmeal, ceral, you name it! I agree with you that before I had such a fear of consuming fats and such, but I’ve learned over time they do my body plenty good, and I have never felt better. Like you, I don’t think there is a day that goes by without having some avocado, so good! my favourite usage of almond milk (even though i basically use it for everything lol) is overnight oats and chia seed puddings, the best! I use the original unsweetened version in my whey shakes every morning! I use the unsweetened vanilla kind pretty much everyday. I especially like it in protein smoothies! I use Almond Breeze to make my chocolate protein pudding oats. Great giveaway! I love that healthy fats are getting more of a spotlight lately. 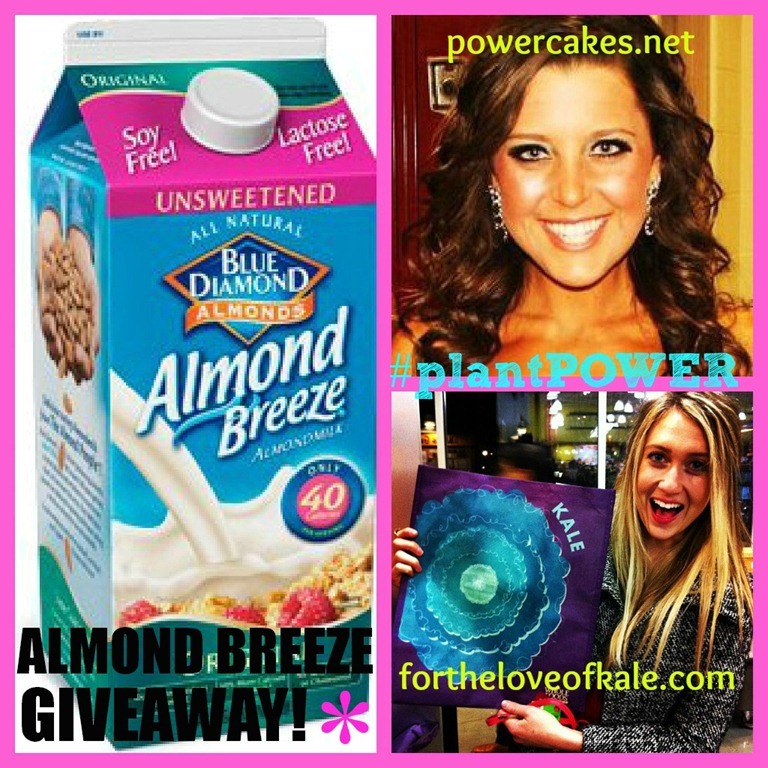 My favorite Almond Breeze is original unsweetened and I use it in just about everything! From my morning Vega shake to making quinoa, I go through a ton of it. My favorite is the unsweetened chocolate variety. I mix it with 1/2 frozen banana, 1/2 cup frozen spinach, cocoa powder, and protein powder to make a delicious and healthy shake that tastes like dessert! I’ve never used almond breeze before, but i would like to try it! One question though about healthy fats… isn’t coconut oil very high in saturated fat and therefore not be as good for someone with high cholesterol. And why not just use evoo? I buy plain unsweetened almond milk to use in my smoothies! I have always included healthy fats, but I am trying to be even less fearful of the fat after reading your blog & logs of some other lovely ladies!! Today I had: almond milk, tahini, hemp, avocado, almond butter……I LOVE plant-based fats, so it’s not hard to enjoy including them, but “fearing” them is something a little different…!! Thanks for your post & inspiration! Awesome Food And Fitness Article! I LOVE Blue Diamond Unsweetened Almond milk! It is definitely a staple in a lot of my recipes. I use unsweetened almond milk for my whey and casein shakes, but my favorite way to use it, is in the “clean” protein bars I bake My faves are a cinnamon swirl protein bar that I make (I tweaked jamie easons recipe) and a “PB&J” protein bar that I make, the almond milk is perfect for these – healthy and delicious! I like almond milk in my protein shakes and for baking. i love unsweetened original in my coffee, tea, and – most importantly – vegan protein powder rice pudding! I use Almond Breeze everyday! I love it in smoothies, shakes, on cereal, in baking, and I even warm it up and sprinkle cinnamon on it sometimes! I love it!